Buy a 1500w step-down & step-up voltage transformer to change the voltage between 120v and 240v to make your appliances work in both UK (240 volt) and USA (120 volt). 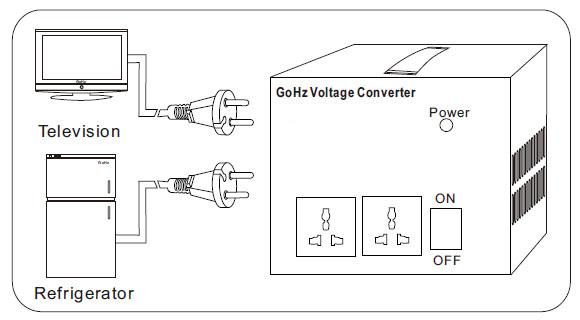 Get familiar with GoHz step-down & step-up voltage converter with following instructions to maximize the benefits for your appliances. Check the power consumption of your appliances from the nameplate to choose a suitable step-down & step-up voltage converter. 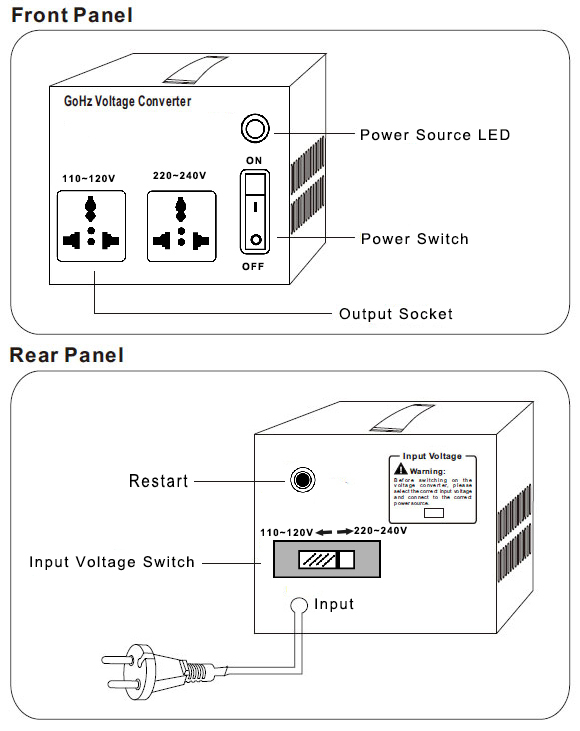 If your appliances voltage rating is 110v, your mains voltage must be 220v. If your appliances voltage rating is 220v, your mains voltage must be 110v. *Make sure all appliances are shutdown before switching on the converter. *Make sure the appliances total power consumption do not exceed the maximum output power of the voltage converter, plug your appliances to the voltage converter, select the right input voltage according to your mains power supply. 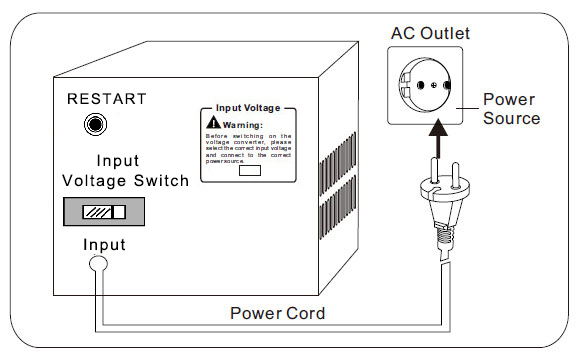 Plug the power cord of the voltage converter to home power source outlet as shown in the diagram and switch "ON". Press the power "ON/OFF" switch to "ON" position and LED is lighting. Switch on your appliances one by one.